How can I plan a track? 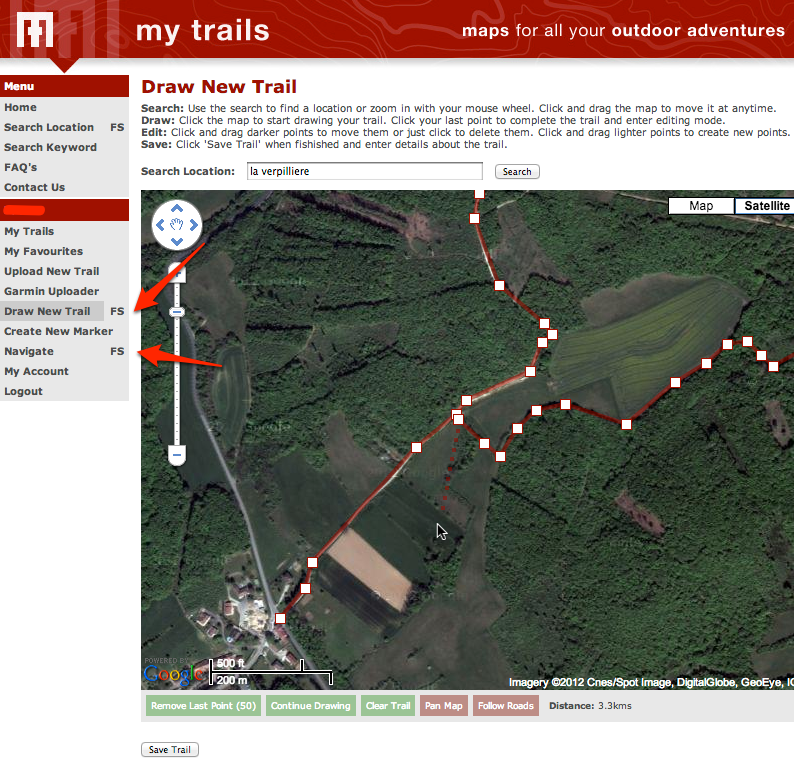 In-application track planning is… planned for MyTrails 2.1. In the meantime, you can use the www.mytrails.com.au (My Trails) web site to plan a track on your computer, and import it into MyTrails. Note that the web site (My Trails) is developed and administered separately from the application (MyTrails, no space) and this web site. After saving the trail, you can view it in My Trails and email it to yourself. If you sent the trail via email, just open your email client on your device and open the attachment. MyTrails should be one of the applications that offers to open the document. This entry was posted in FAQ, Track and sensors on 10 September 2012 by frogsparks.